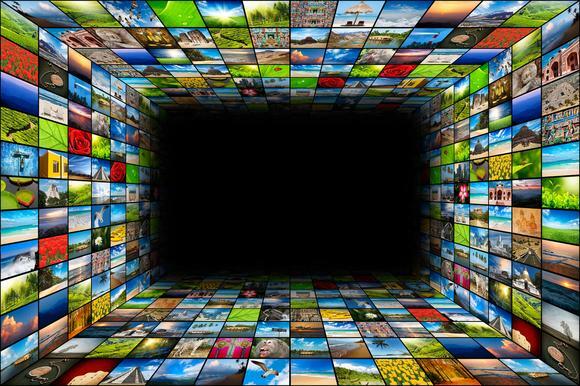 Convergence is changing the relationship between media technologies and audience. As Clay Shirky explains in a Ted Talks Podcast; “Now that media is increasingly social we are starting to see a media landscape where innovation is happening everywhere and moving from one spot to another”. The reason for this landscape is convergence, “as media gets digitized the internet becomes the motive carriage for all other media” and as a result of this, the pattern of communication is changing. The old pattern of ‘one to many’ (ie Newspapers) is changing to a ‘many to many’ pattern (ie blogs and forums). So how does this change affect the relationship between media technologies and audience? 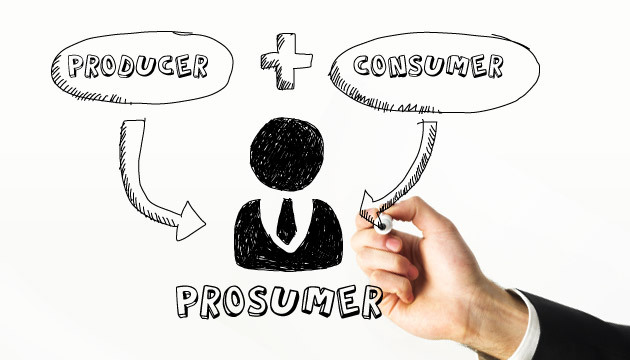 Suddenly the role of the audience is developing from that of a consumer, to a prosumer. 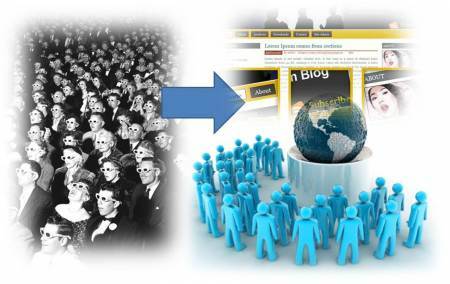 Audiences are no longer just passively consuming information, they are actively creating it. Because this has happened, the nature of media technologies have also developed. Now there is an abundance of information literally flooding these technologies and the media itself has changed from an organized stream of information created by legitimate providers, to a convergent mass of shared information created by illegitimate prosumers. This modifies the relationship between audience and media technologies as audience now rely on information sourced from all medias everywhere instead of relying on that created by industries and or governments. The internet is no longer just a source of information but a platform for innovation. The Mobile phone for example is a convergent media technology that allows information to be spread freely and rapidly. As a result of this, information becomes readily available that may not have previously been able to exist. During the devastating Shichuan earthquake of 2008, people were actually able to report the earthquake as it was happening. They were taking photos sending texts, even uploading footage. People all over the world were able to access this news literally moments after earthquake had happened and within half a day donations sites were already up and running. Similarly with the London Bombings first hand information was shared freely without editing or filtration, giving audiences a full scope of the situation, not just a mediated snapshot. “In both cases there was a reluctance or inability for the authorities who had any knowledge of what was happening to inform the public”…. “mobile phones were then, relied on to exchange information, as there was little in the public domain” (The Mobile Phone and the Public Sphere, Janey Gordon). The influx of news being created by illegitimate prosumers is taking a toll on the gaming industry as it is becoming harder and harder for companies to keep aspects of their games a secret and maintain a sense of control. Convergent platforms, such as GameSpot, allow people to share viral information within the public sphere. The ability to do this affects the relationship between media technology and audience because suddenly audiences are able to interact with media technologies in a new way. Now audiences are able to gain access to viral information before they are supposed to as well as upload their own information as they please. No longer is there a mass, one way, communication stream between audiences and media but a dynamic web of collective communication.